I am a huge lover of living heavy weights at various times throughout the year of my training and as I write this, I am right now in an awesome cycle that I felt compelled to share with you my friends. This program has done wonders for my strength, weight and overall mood. It is a Westside barbell on conjugate method based program, which could do the same for you as well, if you choose to follow it. However, if you do choose to- you should have at least a year of heavy lifting under your belt and know how to do the different exercises safely with very heavy weights . (80 to 90% of your one rep max.) So buckle up we are going for bumpy ride much like Ace Ventura’s short cut in When Nature Calls. Now, if you have never read anything or heard about a West Side style program it is two days of max effort days of upper and lower splits. It also calls for two sessions of dynamic or explosive days as well. My two heavy days consisted of 5 exercises, two being my big three on my lower body day and the other the holy grail of strength (da’ bench) on my upper days. The rest were accessories based on the power lifts and then it got more specifically geared towards my weaknesses that I saw in my training the program unraveled. I sat down ahead of time and decided what numbers I wanted to reasonably attain form my 8 week program. Afterwards I decided which exercises to use in my periodization. This type of program uses a lot of the same but different concept to avoid maladaptation and CNS burnout while getting stronger. After all of that I found my loads that I would use, picked my rep range and put my program together as a chief makes a stew and came out with my lose 5 pounds and get stronger program. This program involves lifting four days a week. I also did conditioning on my off days. I was able to incorporate, tempo runs, boxing, towers and incline walks on my non strength days and on one of assistance exercise days. This allowed me a total of 5 to 6 workouts a week throughout this cycle. This program if you are familiar with the west side technique has tow max effort days, switches the exercises frequently to avoid maladaptation and requires that lift 80 to 90% on these days. It also has two dynamic effort days wherein you are doing fast and or explosive exercises to help you overcome any stocking points on your max lifts. Now the break of each workout had your main two to three heavy lifts and then two to three accessory exercise in each session. I found that I had greater success with these as well if I also changed my exercise pretty frequently as well. I choose to do upper first because it wouldn’t flatten me as much as lower body would. The first week was board presses, I did this because how grumpy my shoulders could be and I also wanted to go a bit heavier that was for 3 sets of 3. This movement was in the program for three weeks.Then I switched it to dumbbell bench and made incredible progress in my strength. This rep and set sequence was 2 x 3 sets with a 3 to 5 minute rest. After 2 weeks< I switched to floor presses and so-on. All of these sets require 3 to 5 minutes rest due to the heavy nature of the lifts. Weeks: 7-8: Heavy pull-ups 2×3. Once again rest three to five minutes between sets and go heavy! 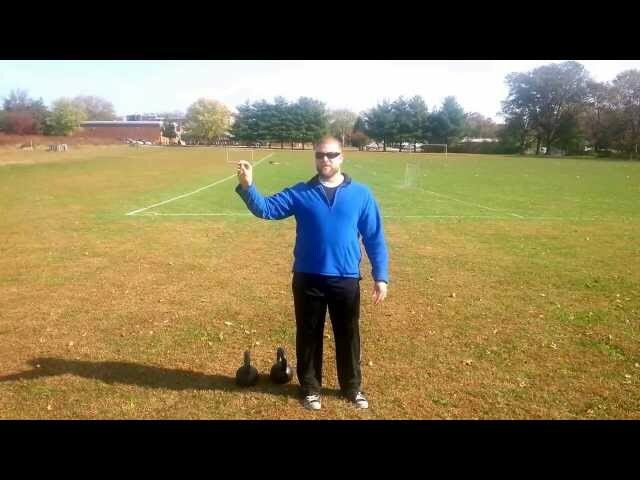 Bottom’s up kettlebell presses: This drill helps me with my bench grip,wrist position and shoulder mechanics. Weeks 3-5: Fist push ups. This drill offers a lot of the benefits of the B.U.P, but it is also an anti-spinal extension drill as well. 2×5 2 minutes rest in between sets, although sometimes, I only did one. 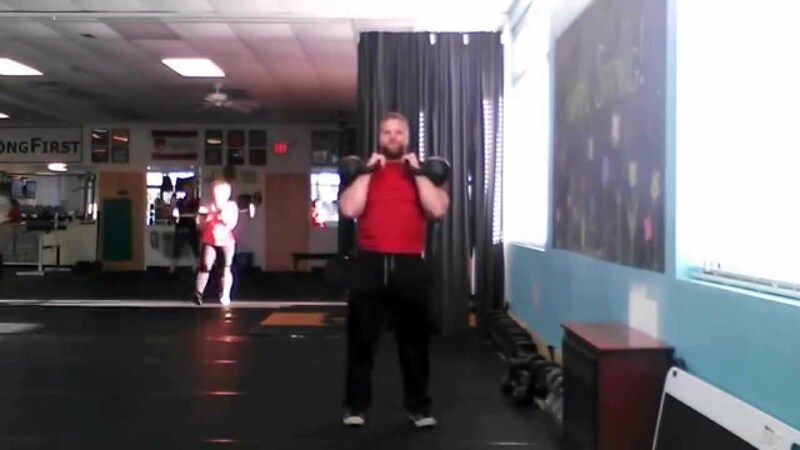 Weeks6-8 : Heavy half kneeling presses. The goal here was strength without going to my full max. 2×2 3 to 5 minutes rest each set. Tricep work: The goal here is to help with the bench press. Sometimes smaller muscles can limit a move , so get them stronger too. Weeks 1-3: Dumbbell nose breakers. This move strengthens the elbow extensors and helps stabilize the shoulders. (These qualities are important for the bench. ) 3×6 medium weight, 2 minutes rest each set. Weeks 3-5 Heavy (weighted) dips: 3 reps 2 sets 3 minutes rest in between. If you have bad shoulders, use the band. See the video below to learn more. Weeks 5-8: Triceps push downs (rope or handle) It s a well known and documented fact that, different hand positions emphasize different muscle fibers and portions of a group . The approach takes advantage of this fact and makes you better and stronger as a result. 2×6 , one to two minutes rest in between. Midback work: This is often a neglected area. 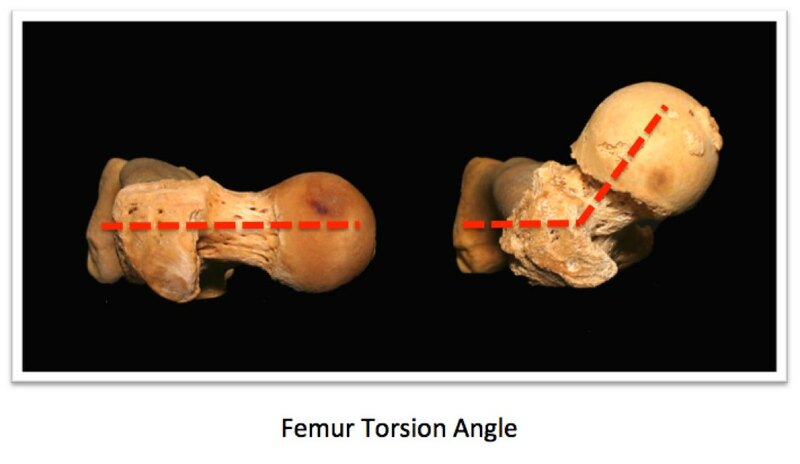 But is important for shoulder health and for the success of your main lifts. Bench supported rows: This variation will allow you to use more weight to train with. 3 x 8 2 minutes rest each set. I also supersetted these my my French press to increase metabolic stress and to save time. For an strength, I alternated between hands sit ups, an wheel roll outs and hanging leg raises. 2 x 5 2 minute rest. This is by far my favorite day, this really test my determination and toughness for about to 2 or more days later due to the soreness etc. Plus this program made my quads blow up! Weeks 4-6: Narrow stance deadlifts 3×2 (this variation is very challenging for me. ) 3 to 5 minutes rest. Weeks 6-8: Jefferson deadlifts 3×1 per side. 3 to 5 minute rest. As before, try to choose accessory work that helps your weaknesses as a lifter. But here is what I did, if you want to copy it until a few weeks in and until you know where you are weak, go ahead and train it. Weeks 1-3: Pistols 2×5 You may use a counter balance such as a weight plate or kettlebell 3 minutes rest, but if you are super wiped, rest up to 5 minutes between sets. Assisted bodyweight leg curl , 2 x 5 2 minutes rest. 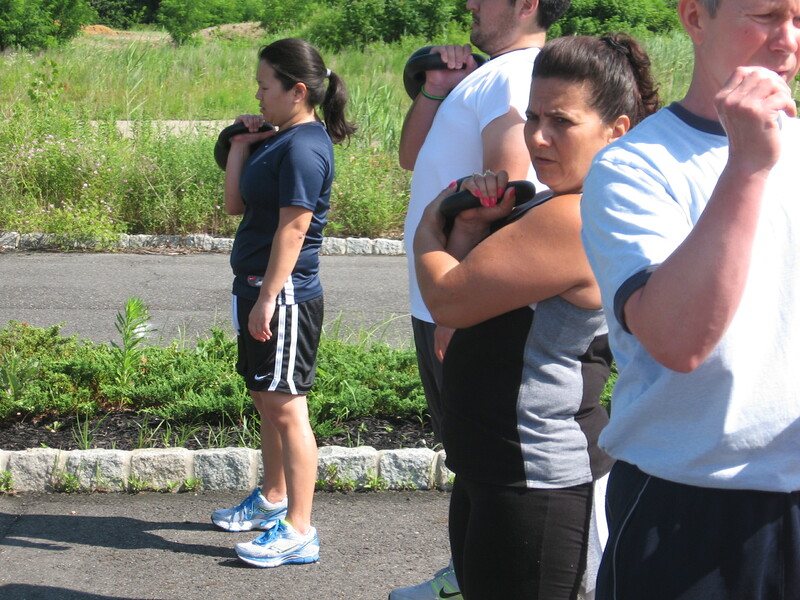 Outside the leg kettlebell cleans 2 x 8, 1 to 1 1\2 minute rest. That is it for my heavy days, next are the dynamic effort days. The goal of these two sessions is be able to accelerate weight through a sticking point. Before I did these days, I took a rest day due to doing two heavy days back to back. I did however, do boxing drills on this day. So it was an active rest. You can do something like this, but don’t kill yourself and mess up your strength days. Remember this is the lose 5 lbs and get stronger program! Physio ball cable bench press 2 x 12, 1 minute rest. Push-press: 2x 12 one dumbbell about 50% one rep max, one minute rest. 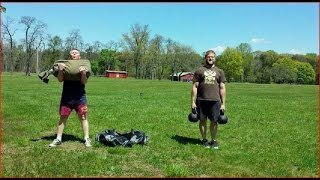 Medicine ball scoop toss: 2 x 12 ,30 seconds rest medium size ball. 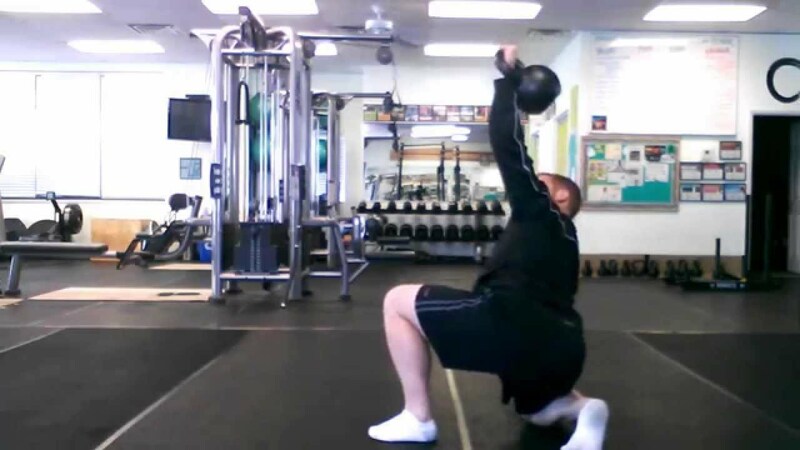 Tricep over head toss: use a medium to heavy medicine ball 10 x 2, 1 minute rest. Clap push-ups, 2 x 10 , 1 minute rest. Med. Ball push-press 10x 2, 30 seconds rest. Quick high bar back squat 30% one rep max 8 x 2, 1 minute rest. Band resisted dead lifts. 2 x 10, 1 minute rest . 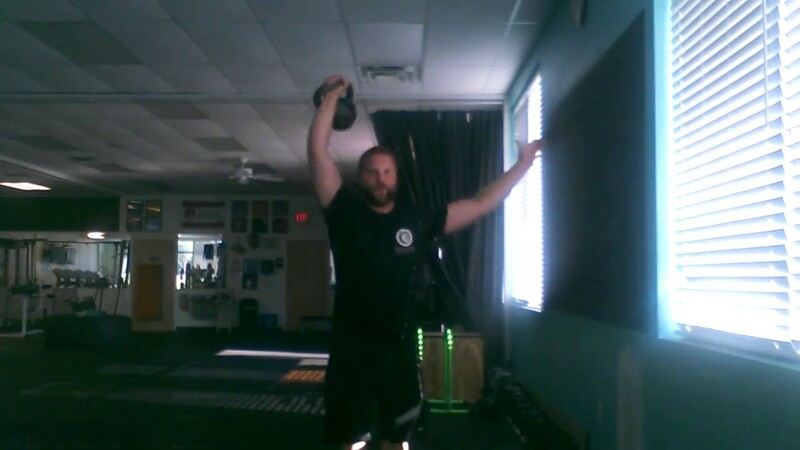 Heavy kettlebell dead swings: 2 x 10, 1 minute rest. Counter movement jumps : 2 x 8 , 30 seconds rest. This program was pretty grueling, but not unreasonable. The results were also awesome, I achieved my squat and bench press goals pretty easily as a result of this program. It also allowed me to identify and work on some things that needed help in my lifts. So, if you enjoy lifting heavy and have been stuck on some lifts, I recommend this program to you. You will not be disappointed with its results as you put it to work! The swing is a great move for fat-loss, sports conditioning, strength work and many other applications for training for fitness. As well as with the proper instruction, it is relatively easy to learn and can be used to condition in pretty safe and very low impact way. This workout is super simple to do, all that you need is a timer, relatively heavy kettlebell and mental toughness to finish it. I am not that creative of a person, in fact I never did well in art class. Yet, there must be a tiny spark of creativity in me ( I hope) being expressed in these weekly workouts. I know that I say it often, but I thoroughly enjoy putting together challenging workouts for you my friends. This week’s workout is one that I am very proud of that has gotten good feedback from my students and clients and now I am sharing with you! A workout for the mentally strong and tough, geared towards high volume training with medium to lighter weights- that will build some upper body muscle when done over-time, will blast fat and keep you enjoying your fitness for a while as you get fitness results. Rest a minute and do it again for 3 to 5 rounds as needed to get the training effect and dependant on your load. Lately I have been creating more advanced workouts with various themes from strength building to conditioning and so on. So I decided that would be a week of swing workouts that are easy to do, but challenging to finish. 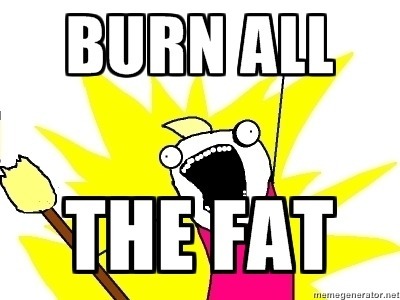 So I went into my archives to find some of those workouts for your fat burning pleasure! 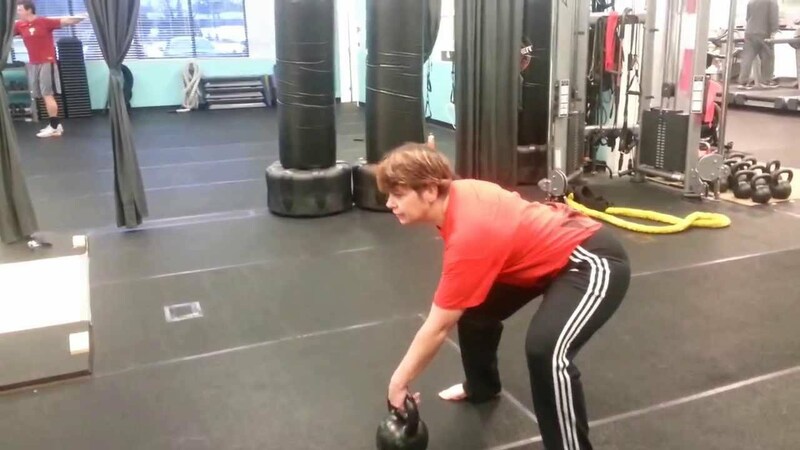 A fat shredding extravaganza of fun-filled kettlebell swinging! A workout that gets you results in as little as time as possible and it can be done in the cold! This workout puts together an awesome combo of 1 arm swings and two-handed in one session! This workout will get your heart racing and help you burn more fat as you train and learn to over come stress! Enjoy these workouts my friends and follow this blog for more workouts like these and other fitness related rants. As well as other tutorials, training plans and principles! I love training the same people for years and taking them through my system of them not having the basic and important movement patterns such as a toe touch to getting them very good at the basics and then finally doing advanced moves with them as the are ready for them. This week’ session was developed for such a group on this last Friday and will challenge you, your core and keep some time under tension in the shoulder area. Get prepared to get more conditioned, burn fat, build strength and conditioning as you train using this week’s challenging workout! Keep the bell in the same arm and make sure to pick a kettlebell that will enable you not to set it down as you train. Then do the other size . Switching sides and repeating the complex for up to five rounds a side. Weekly Workout: The Top Secret Kettlebell Complex. After training someone for years and spending enough for them to learn and develop good and safe technique; comes the fun stuff. I am extremely fortunate to have a good number of clients that are in that level in their fitness. They have spent time learning and improving their form on the basic exercises and as a result, they are in the position to learn and train the advanced moves. This week’s complex was created for a student that has been with me for years now and is in such a position in his fitness training. So on his session last Thursday, I taught him the single leg press and we put it into a top secret complex (not any more) which I decided to share with you! Now if you don;t know how to do any of these moves simply substitute it with a the move that you know how to do. (E.G. an overhead press, and or windmill or swing instead of the bent press. This week’s workout is very intense/difficult and needs to be done in small doses in order to not overreach in our fitness. Do both sides, then rest to kill it again in the next round! Now every move with exception of the squat is advanced, so if you need to regress it to a half kneeling press for the overhead press or the regular one and for the bent press a windmill or 1 arm swing. Be smart friends and don’t try to do something that you haven’t learned yet. Enjoy this workout that will both challenge and strengthen you as you do it! It is said that strength is the master quality in fitness. I do agree with this statement, in fact in my and many others experience as well as a lot of research shows the need to get stronger in order to get better results from your fitness program. It doesn’t matter if your goal is to jump higher, run faster, burn fat and get lean and so on, strength training has a huge part in make those goals a reality in your life. This week’s complex acknowledges that fact in more than just lip service, but gives you a clear way to build your strength while helping you maintain power and explosiveness as you train. Oh yeah, did I mention that it will wind you as well! This week’s workout is uber simple and requires that you use two bells to do it. Now, if you are a beginner you can use one bell but just do the moves and reps on both sides as you work out. 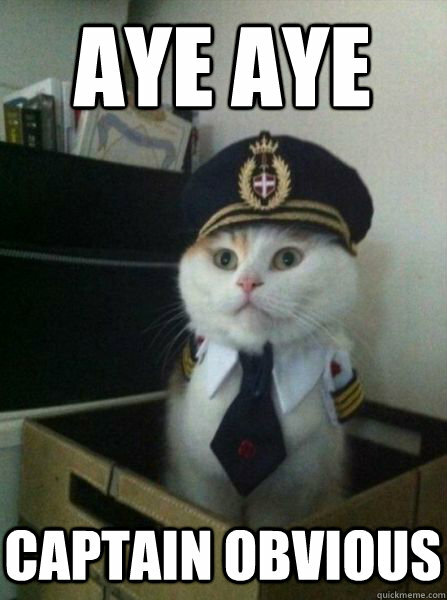 (Thanks Captain Obvious!) The moves are: regular continuous cleans into a squat (re-clean each time) then an overhead press followed by dead cleans on each press. This workout should be done in a ladder fashion by doing as many rungs and ladders as you can with good form. (But up to 5 reps on each ladder. (So in other words, do a ladder of 1 to 5 reps., then rest) Your rest period in between ladders should be up to 5 minutes but no less than 2 minutes in between ladders. Use a bell that you can press 8x in a row to do this workout. If done right it will be a lot of volume and too heavy will not let you do that. But as you know too light won’t do too much for you either! I have to say that I am constantly inspired by my clients, athletes and followers. I love your feedback, work ethic and determination to do what is needed to get to your goals. You come to each session ready to train and give it your best, you listen when I tell you to make a change and the very best you can to implement it and let me regress your exercise without complaint when I see something that isn’t up to your potential. This week’s workout is dedicated to all of you and was inspired by one of my clients earlier this week. This workout adds a tiny bit of complexity in, but is more than scalable to all levels of experience and fitness levels. It is done by doing: a rotational dead cleans for 30 seconds, followed by 8 step back lunges and then ending in 5 Viking push-presses. Do both sides rest as little or as much as needed and get back to work.